How does prednisone affect my runs? My allergies have been really awful, so I'm back on a course of prednisone along with my usual nasal sprays and various allergy medications. Technically prednisone is a steroid (it's a corticosteroid, to be exact), so I sometimes wonder if it has any effect on my running at all. Not in the way anabolic steroids would...it certainly doesn't build muscle. But maybe it helps me feel fresher and recover faster because of the anti-inflammatory effects? It's definitely making it hard to sleep, which made me put off my long run last Sunday morning. Blah. When we're talking about effort during a run, do we mean the effort of our legs or our lungs? 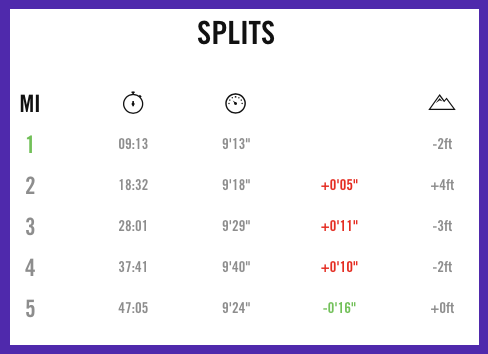 During Friday's run, I felt I was pushing myself but the pace was comfortably doable. I was breathing fine, but holding a conversation might have been a little difficult. My legs felt great except for some aches from squats Thursday. In total, the run felt moderately tough over-all, but what am I really supposed to judge it by? Running in and out of sprinklers meant my pace was all over the place, but generally this run felt effortless and challenging! Is it better to be a person who walks away from conflict, or someone who consistently speaks up? I've fallen into the latter category for ages now, and sometimes I think it's best to be the bigger person and let things go. But I also think that people (especially women) who choose that route end up looking weak, even if their intention was to be strong. In today's political climate, I can't help but be vocal because I feel like sitting quietly won't exact change. Maybe speaking up won't exact change either, but at least I can say I'm trying. 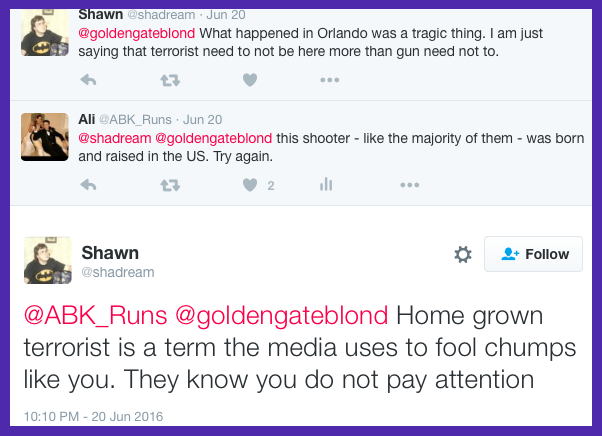 This guy called me a chump and followed up with worse in the next tweet. I chose not to respond; I'm worried he thinks he "won", but what's the point of engaging with someone like this? When will I start to feel like an adult? Then again, does anyone ever really feel like an adult? Like they have it all together? On the same topic, is it bad that I feel the most adult when I'm spending money on furniture and home appliances? That's totally society, socialization, and conspicuous consumption/marketing getting into my head, isn't it? Do I take too many selfies? I like recording my runs and workouts on Instagram for myself and for the support I get, but I don't want to come across as self-involved! I mean, really, though...what is a post-workout selfie if not self-promotion and involvement at its finest? Followup: Is it a selfie if other people are in it? Is Elizabeth equally "selfied" if she doesn't technically take any of these shots? 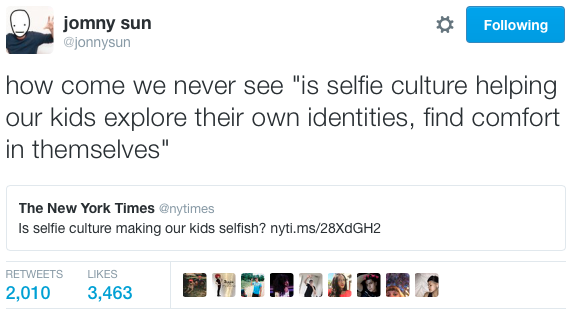 ETA: Interesting timing for me to have posted about this, as the selfie debate continues. I think selfies have helped me feel more comfortable in my skin and more confident. Thoughts on that? Are my consistent workouts actually paying off? I feel really good - I'm seeing a change in my pace, stamina, and strength - but I'm not seeing much change in my body. Clothes fit pretty much the same, and I'm not noticing any more muscle definition. When will I get to look in the mirror and be like, "Oh yeah, it's paying off!"? Do you have answers to any of these questions? What are you wondering lately? I guess high enough rounds of Prednisone can also make you REALLY hyper (which is why I have trouble sleeping when I'm on it), so it can boost exercise productivity. But the side effects (weight gain and chipmunk cheeks, or example) seem like they'd make abuse of it in elite athletes really obvious! Hmm, you pose some great questions here. I don't do many selfies just because I have short arms and my pics turn out horrible...lol. Which reminds me I need to find you on IG and follow! I was just thinking the other day how I feel most "adult" when I am making a recipe that my mom use to make! My instagram account is abk_runs! Deep thoughts for a Friday! I like it! I define easy runs by breathing and being able to hold a conversation easily. I know if I have to pause before finishing a sentence I'm running too hard. Even when I'm running easy, my legs almost always feel heavy and tired in the first mile or so. Love selfies! Keep taking them! I definitely thing it's fun to document the day's workout! I find it so strange that sometimes my breathing and legs just don't match up. It would make things easier if things felt all-around easy or all-around challenging, you know? I feel very adult buying home items too! Oh, I also feel adult when I'm running and I notice garage doors I like, or houses I like. Always speak up. But yeah sometimes you have to stop engaging with someone because if they are that ignorant I don't know what you could say!? I'm glad you're experiencing the physical benefits of your consistent routine! Now you want to see it in the mirror? I know you did see muscle definition at first. Maybe you have progressed and need to up the weights!? Eat protein after you lift so your muscles can repair and get bigger. Oh yes, when I notice landscaping - which used to be the most boring thing ever to me - I feel like an adult haha. I feel like I could up my weights a bit. I have been better about getting more protein just recently, but other than cheese, eggs, and protein smoothies, I'm just not a big fan, so it's hard to eat enough of it I think! Oh, to be your age & have your body . . . you look great. And you know what? 10 years from now you'll look back and wonder why you were complaining about your body (and I'm sure the same could be said of me, it never stops). Most of the time I feel it in my legs. Darlene starts to run and her turnover is so fast, I have to really think about it to get mine like half as fast as hers! I actually feel as though I haven't been wondering a whole lot of stuff lately! I know it's true that when we look back we'll always wonder why we worried about our bodies...which frustrates me because it's unfair that things will just continue to fall apart! But I know it's true because when I look at photos of myself in my early 20s, I definitely wonder why I was self-conscious! Do you wear a heart monitor? That's how I figure how hard I'm pushing myself, or my legs yell it at me. I always feel like an adult after paying all my bills, and when I can sit down and see all the laundry is done... I actually hate the laundry part. Ali, you are beautiful! and don't ever let anybody tell you that you take too many selfies! To me, when somebody takes a selfie, it tells me they are confident and really feeling their look and/or really proud of what they are doing! So no selfie shaming allowed! I don't wear a heart monitor, although my watch does track my heart rate. I'm one of those runners who cares very little about numbers and data, but maybe I should try to care a little more! I can't do the online debating with people, I find it exhausting, but if you enjoy it, run with it! Bungee jumping sounds like a fun way to relive your childhood...although I think I may be too adult to get over my fears and do it! I used to want to sky dive, but that freaks me out too, now. I'm pretty convinced that nobody ever really feels like an adult... you think that you'll hit the magic number (whatever that might be) and you feel different, but you don't. Not too many selfies... 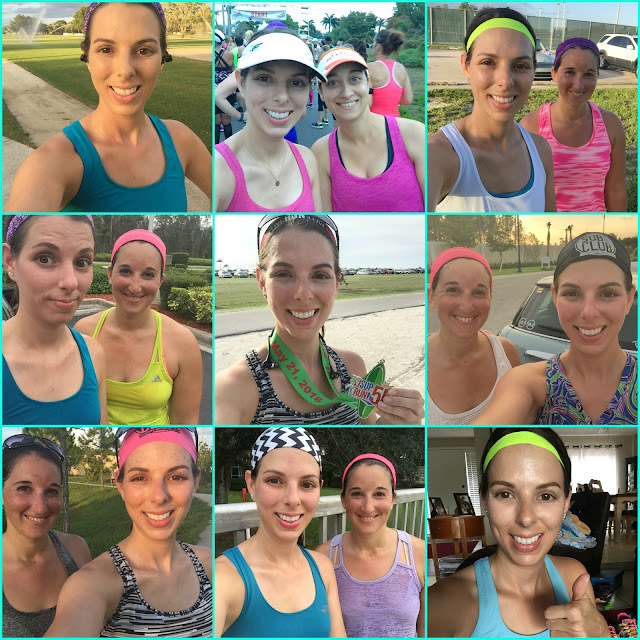 I like peoples' faces on IG (but I have a hard time taking more selfies after my runs because they often turn out badly). I think you're definitely right. My mom is always saying she still feels, mentally, like she's in her 20s. I guess at some point our minds are just "us" and we stop aging in that way lol.